The new site was opened in March 2002 at a cost of CY£30,000 (approx €51,000). The area that the site covers is 1600 square metres. It is situated on Sovereign Based Territory and has to meet all British health regulations and undergo regular inspections. 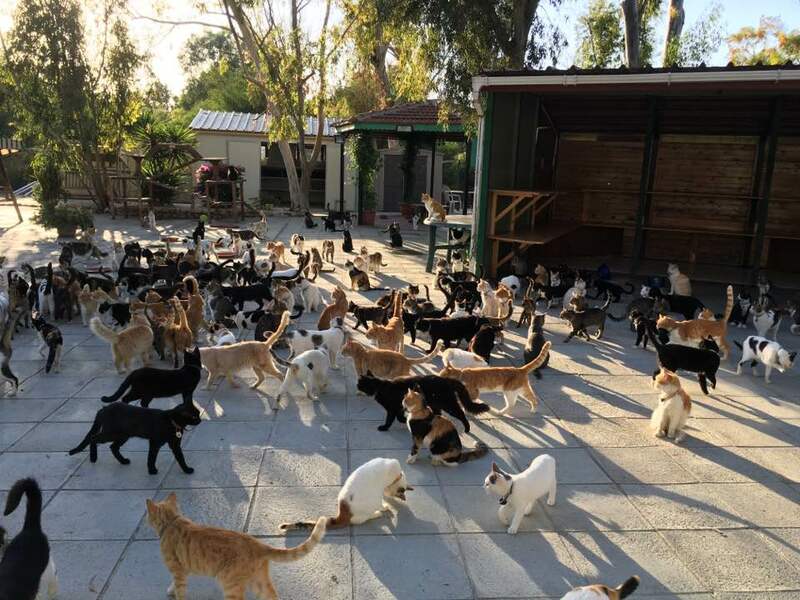 The New Site has been purposely built for the cats. It has taken a lot of fund raising and hard work to achieve this but it is considered as having been well worth the effort. The Sanctuary now has the luxury of mains water and electricity, which was unavailable at the old site. 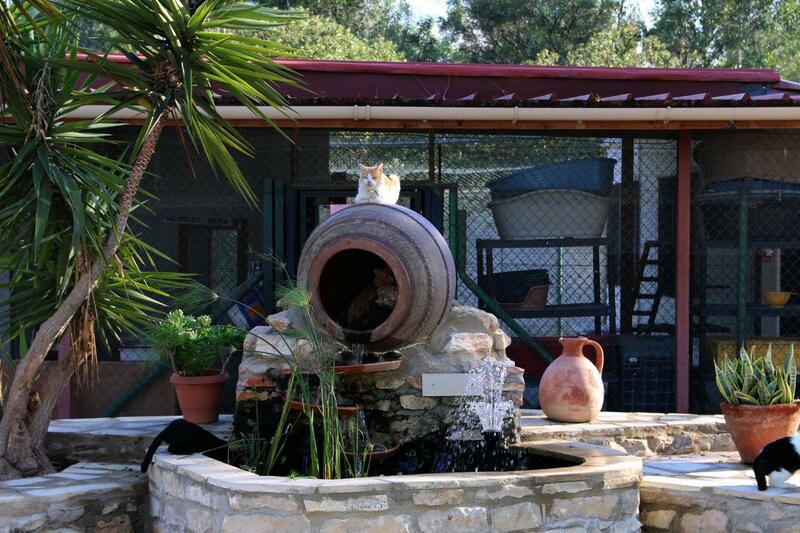 When the sanctuary was built originally a wooden Pergola-style building was the cats main sleeping area. 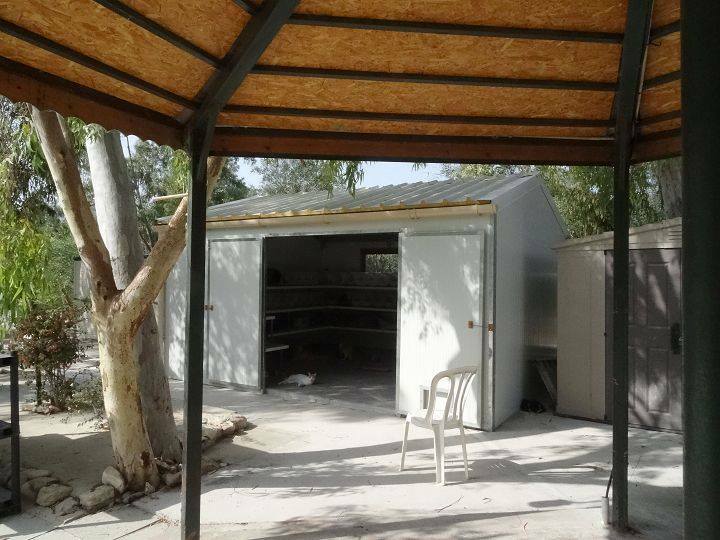 But in August 2015 a more practical & modern sleeping area was built & the cats even have windows to look out of. 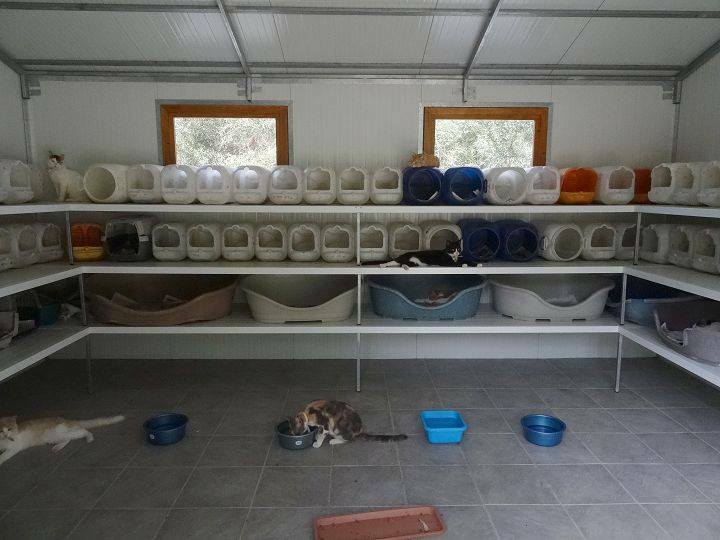 Inside, it is fitted with an array of cat boxes & beds for real feline comfort! 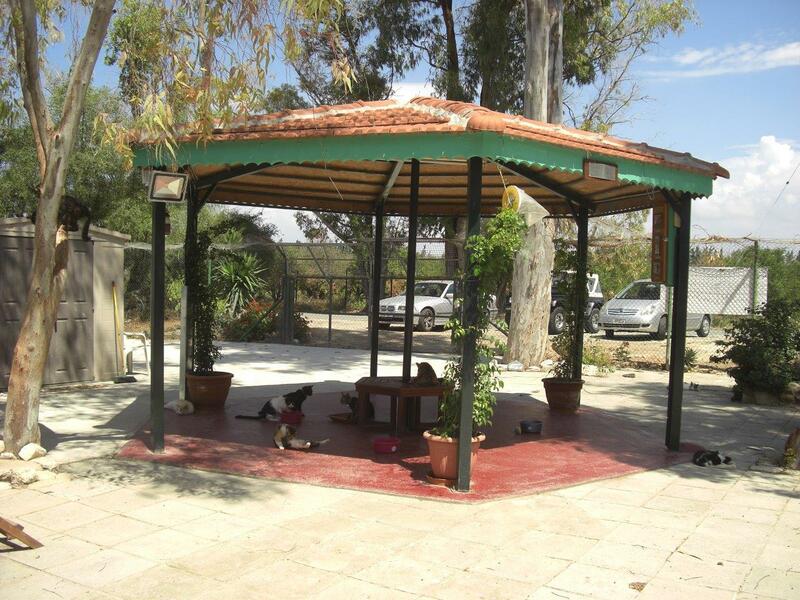 The cats still have the Pergola roof to shelter from the sun & rain & continues to be a feature at the sanctuary. The kittens have their own feeding / sleeping areas and these are near the hospital / quarantine building. These buildings are obviously used for the sick cats and kittens. 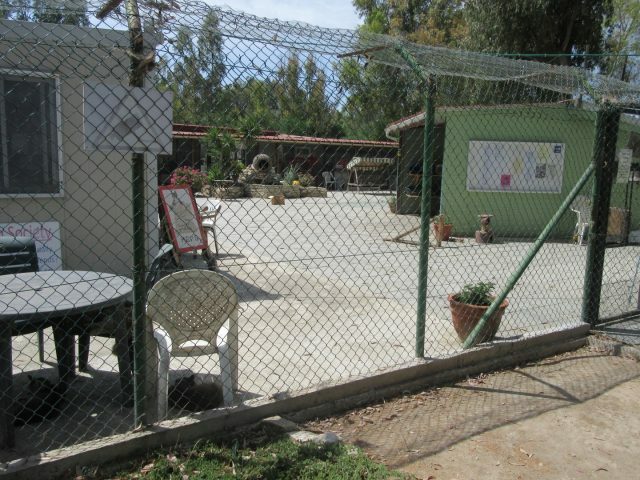 The quarantine building is used for abandoned cats / kittens, where they can be observed closely for ill health etc., before being released into the main areas. There is a kitchen, toilet, store room, small shop and records office and all the cats are doubly enclosed for their safekeeping. Unlike the old sanctuary unfortunately, the new site has to be kept locked when there are no helpers/feeders on the premises. This is for security reasons and of course the safety of the cats. Next Page What Do We Do? Make a donation using PayPal!